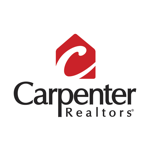 Carpenter Realtors is a market dominant, residential brokerage that distinguishes themselves throughout the midwest with their comprehensive Home Marketing System. After seeing Matterport’s immersive 3D real estate tours, David Caveness, President and CEO, recognized a huge opportunity to help his agents win more listings, but was unsure if agent adoption would be high in their mid-range market. Carpenter Realtors drove agent adoption by internally marketing the service to their agents during a launch meeting at the beginning of the year. They developed a streamlined system for ordering and hired 4 different independent contractors to operate the camera across their regional network of listings to keep costs low. Management set up a free Google Form to log scan requests and created a custom system to schedule scan requests in bulk to maximize efficiency. The in-house marketing team then QA's the 3D models and distributes marketing collateral and online links to the agent team. In the first 4 months of Matterport utilization, Carpenter Realtor agents requested over 120 3D models and had +20 in the queue to be scanned in the next week. By leveraging independent contractors, Carpenter Realtors was able maximize the usage of the Matterport Pro 3D Camera and keep operational costs well under budget. Though initially concerned over agent adoption, consumer demand for Matterport continues to grow and agent adoption continues to be high. Carpenter Realtor agents agree that Matterport tours help bring in more qualified buyers, resulting in fewer showings where it is not a match. This also keeps the costs for unnecessary live showings down. Carpenter Realtors was recently named one of the top 100 Real Estate Firms in the USA by Real Estate News and featured in the Indianapolis Star for using Matterport to enhance their property listings. They are the top residential brokerage in their market.